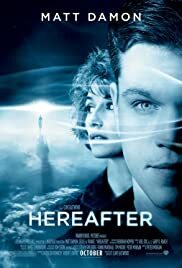 Hereafter is a slow, quiet study on the effect that death and the dearly departed have on the living. It's not really a ghost story or even a very supernatural movie. The three main characters each have felt death's power in different ways in their life. George (Matt Damon), a man who can contact the deceased, has fled from his abilities because they keep him from having a normal life. Marie (Cecile de France) is a journalist who has a near-death experience during a tsunami, and becomes consumed with understanding what she saw. 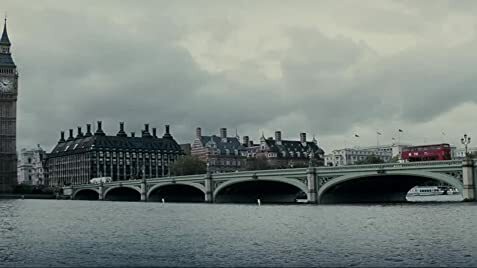 And in London, a young British boy is desperate to contact a lost family member one last time. The three separate stories do eventually connect, but that's not really where the value of Hereafter lies. I can see this film being a source of frustration for some viewers eager for a traditional conflict and resolution or character arc, but those things aren't really Eastwood's priority.The movie doesn't have much of a "point", other than how death is such an important part of all of our lives, even as it's also probably the most mysterious. I liked it, but I'm hesitant in recommending it. Slow-paced movies like these need the right audience. It's fairly different from Eastwood's other movies, and I wouldn't mind seeing him tackle something like this, again. 59 of 78 people found this review helpful. Was this review helpful to you?